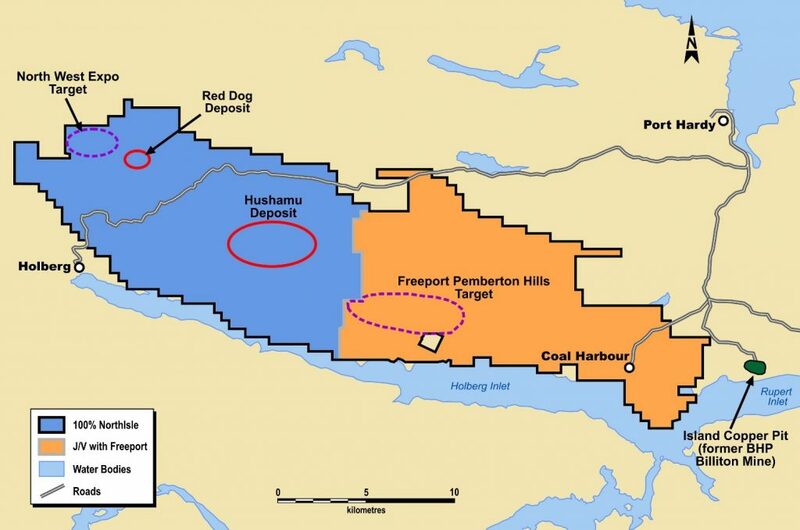 Northisle has granted Freeport McMoran Minerals Canada Inc. (“Freeport”) an option to earn an initial 49 percent interest and up to a 65 percent interest in the Pemberton Hills Property by funding a total of $24 million in exploration expenditures. To earn a 49% interest, Freeport must spend $4 million on exploration over 3 years, Freeport will have a one time option to increase its interest to 65 percent by spending a further $20 million over 4 years. Northisle is the operator during the initial earn-in period. The Pemberton Hills target is a 3.5km by 1.5km area of high-level, advanced argillic alteration with in Mesozoic-age andesitic volcanic rocks. Extensive Terraspec Xray diffraction studies of the altered rock within the zone confirm the alteration is advanced argillic and similar to that at both Hushamu and Red Dog. This type of alteration is commonly found overlying porphyry copper deposits. Further evidence of a buried porphyry copper deposit is the presence of anomalous copper at the end of a 200m deep drill hole with in the altered area. The target requires two or more 500m deep drill holes to test for a copper – gold porphyry deposit beneath the advanced argillic alteration. 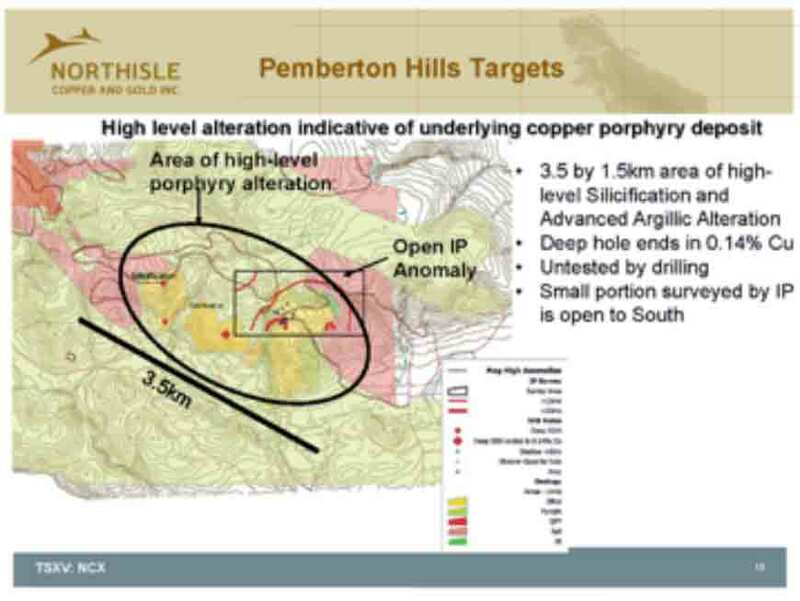 NorthIsle has no immediate plans to drill the Pemberton Hills target.